Avendus advises Corpus, Inc in its acquisition of Itellix Software Solutions. Acquisition to augment Corpus’s offerings for the Banking & Financial Services Industry. Corpus Inc., a provider of custom application development and information technology services to Fortune 100 companies in the banking, financial services and telecommunications industries, today announced the acquisition of Itellix Software Solutions Pvt. Ltd, a Bangalore - based software solutions provider. Itellix is a Bangalore-based IT services company with a key focus in the banking & financial services space. The company has 15 domain specialists in banking and capital markets and a customer base that includes Barclays, Standard Chartered and Dresdner. 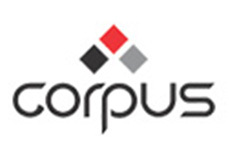 “We are excited about joining forces with Corpus Inc. The merger will position us to accelerate our future growth together," said Mr. Anil Ahuja, CEO - Itellix. Corpus, Inc. is a CMMI Level 5 assessed IT solutions provider for business entities. Corpus has worked with the top 15% of recognizable industry names in the arenas of Entertainment, Telecommunications, Financial Services and Media and many other Fortune 100 companies. Corpus Inc. client list includes companies like Verizon, Verizon Wireless, Cingular Wireless, SBC, Disney Mobile, JP Morgan Chase, Wachovia, Morgan Stanley etc. Itellix, founded in September 2002, focuses on providing solutions that help accelerate the adoption of Web services. In addition to Web services software, Itellix also has a consulting business through which it provides offshore application development services to European Banks such as Barclays, Standard Chartered and Dresdner.